Today, April 1, is my birthday. In celebration of turning 46, I decided to do a challenge for the month that would offer me the chance to paint everyday, get better at sewing and finally get my Etsy shop some stock! 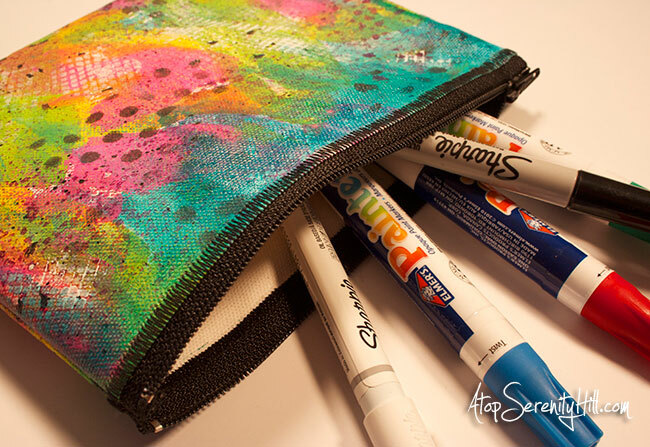 So here are the details for my #30paintedpouches challenge! And, yes, I have my own hashtag that you can follow along on Instagram and Facebook. Each day during April, I’m going to spend 23 minutes painting a 8″x12″ piece of canvas. The designs will be mostly abstract in nature but who knows what will happen as the month progresses. That’s the fun part! 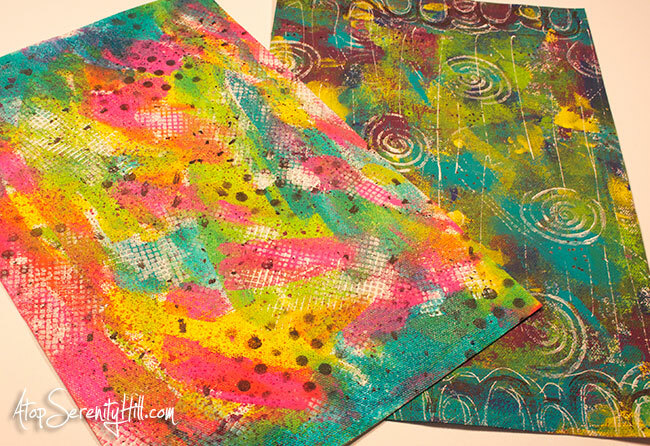 I’ll then sew all the painted canvases into zippered pouches that I will sell on Etsy for a special price of $23. So, 23 minutes of painting + a $23 price tag = my 46 birthday celebration! I’ll share an update midway through the month, but I’ll be posting the painted canvases everyday on Instagram and Facebook. 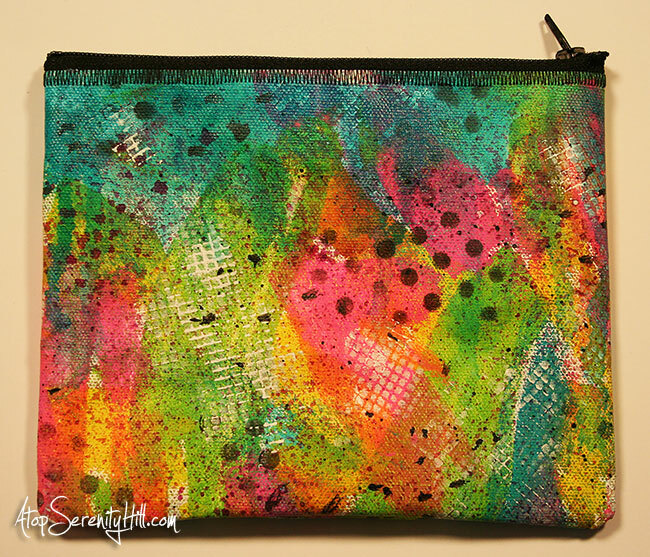 All of the painted pouches will go on sale at the beginning of May and I’ll have more details about that in my update. PS…the price does not include shipping and I will ship outside the US. I thought you might like to see me create one of the sample canvases, so I did a fast forward video for you to check out. Enjoy and don’t forget to follow along on my social media channels! I link up at these parties! Happy birthday, Consie! I really like your abstract painting! Good luck with the pouches. Happy Birthday!! Love you! Nice work by the way. Looks like fun! Happy birthday, and happy painting! Thanks, Kate! I am loving the process so far! Happy Birthday! Mine was Monday and I bought myself an art journal. I am not an artist buy I love to watch your videos inside your journal. I have been wanting to try mixed media for a while and I had a blast making my first page. I even did a video! Thanks and happy birthday to you as well! Your video was lovely! 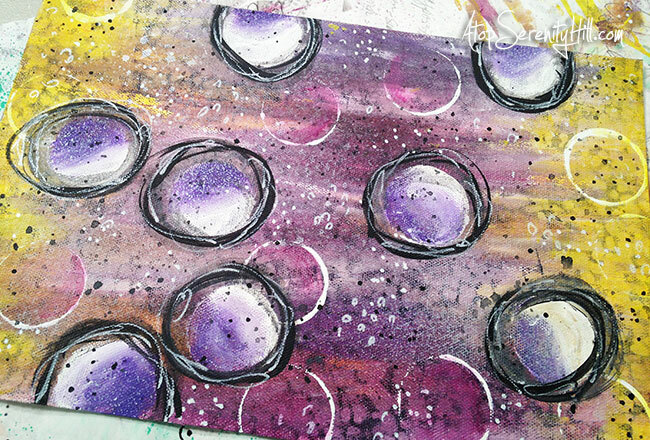 You are right when you said art journaling was like kindergarten for adults! Just have fun and enjoy the process! Thanks so much, Kathy! Enjoy this Easter weekend! Thanks, Valerie. Enjoy your weekend! These are so fun ! I made a similar canvas and cut it up into art cuffs. great birthday project. happy PPF ! Thanks, Ann! Your cuffs sound great. I might have to give that a try! Happy weekend! lovely work..i loved your video…makes me want to take out my stuff and start painting now!!!!!!!!!!! Thanks, Jennie! I am enjoying the process. I have an update on the challenge tomorrow on the blog so keep and eye out for that! Happy birthday Consie. I always love watching other people’s process for art making. I am also doing a weekly challenge about printmaking/ painting on fabric and turning them into pouches, bags, clothing. Thanks, Ozge! And much luck with your bags! I can’t believe you won on both Balzer Designs and Alisa Burke’s website…congrats! I love both of those bloggers as well!